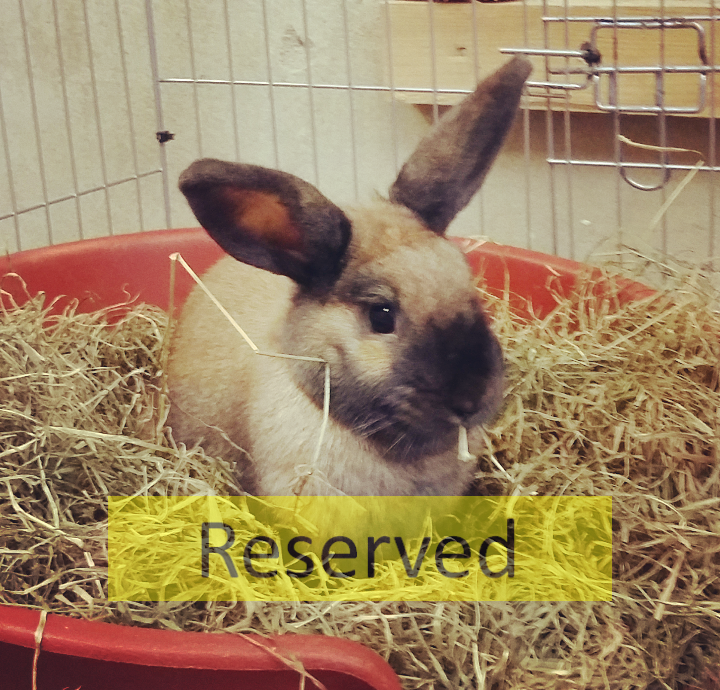 Clara is a pretty female bun at around 1 year old. When initially admitted to the sanctuary she was quite reserved, however she has really come out of her shell and we have found her to be very inquisitive! She loves to run up and see what you are doing, and especially loves when you have a treat to give her! Clara would love a neutered male companion to bond with and enjoy life. She is such a great bun with a lovely little personality! She enjoys receiving head rubs and just generally being in company. If you feel you could offer Clara a forever home with a neutered male companion, please call up to the sanctuary, speak to the staff and fill out an application form!